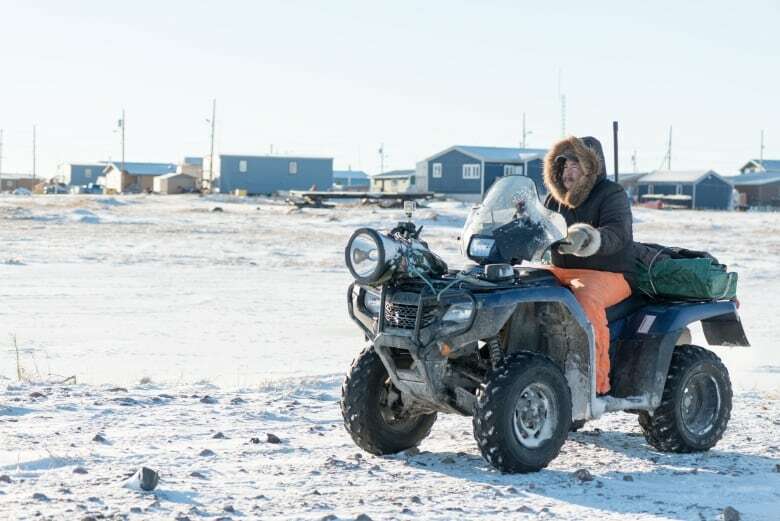 The community of Arviat and WWF-Canada say their joint polar bear patrol program is a success, with new data showing a decrease in the number of bears that need to be killed due to encounters with humans over the last five years. Since 2010, patrol teams have monitored the perimeter of the community in the peak season from September to December to help drive bears away. "Before we joined up with the hamlet, there was on average about eight bears that had to be dispatched every year," said Paul Crowley, director of WWF-Canada's Arctic Program. "Since then it's been down to about one bear per year. Some years none and other years there's been a couple." This past season three bears were killed — two by the patrol and one by a local hunter who encountered the animal at his hunting cabin. In total, there were 190 polar bear encounters in Arviat this past season. Leo Ikakhik has been a polar bear patroller since the program started. During that time he's had a few close encounters, including one with "a big male, really skinny one." "The bear was like a freight train," recounts Ikakhik. "No matter how I tried to cut him off, the bear just kept going straight." Ikakhik had his rifle ready and was sure he would have no choice but to shoot, but the animal changed direction at the last second. To help keep the animals away, the patrol teams use ATVs, snowmobiles, as well as cracker shells, rubber bullets bean bags, flares and live rounds to keep the community safe. Live traps are baited with seal meat so the animals can be moved away from residential areas. The community also has access to a hotline to report any bear sightings. The number of bear sightings in communities along the western Hudson Bay coast has been increasing, according to local hunters. Crowley says this is because the sea ice is taking longer to form in the fall, keeping the bears on the coast line for longer periods and driving them into the communities. "It's partially because the climate is changing and partly because of attractants in the communities like the dumps," said Crowley. He said WWF-Canada is looking at expanding its polar bear patrol program and that it is training new patrollers and is hoping to operate in other Arctic communities.